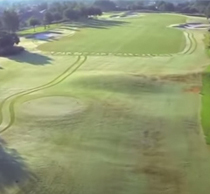 Candler Hills Just Featured on Golf America! Home of the Ocala Open golf tournament, the Candler Hills Golf Course is a beautiful Par-72 semi-private championship golf course that has five sets of tees ranging in length from 4,877 to 7,233 yards creating a rewarding experience for golfers of various handicaps. Enjoy the picturesque scenery and unique layout, but most importantly, enjoy your round of golf! With a Palm Springs-style landscape the course’s natural splendor is enhanced by the variety of trees including sabal palms, live oaks and slash pines and various ornamental grasses…this is not your typical Florida golf course. Let Us Host Your Next Tournament or Event! Tee times can be made conveniently either online or by calling the pro shop at 352-861-9712. 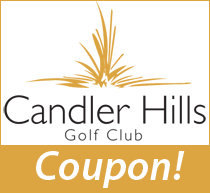 Golf lessons are available from our qualified staff of PGA and LPGA professionals at Candler Hills Golf Club. The Club at Candler Hills is open to the public and provides pleasurable indoor or outdoor dining. Candler Hills Golf Shop is fully stocked for all of the golfer’s apparel, equipment and accessory needs. Check out our entire course with these helpful videos! Download and print out our latest and play and save today! *The 2017 rankings were derived from over 150,000 reviews from 92,000 golfers in 2017. 3,400 U.S. golf courses received 10 or more reviews and were eligible for this year’s list.